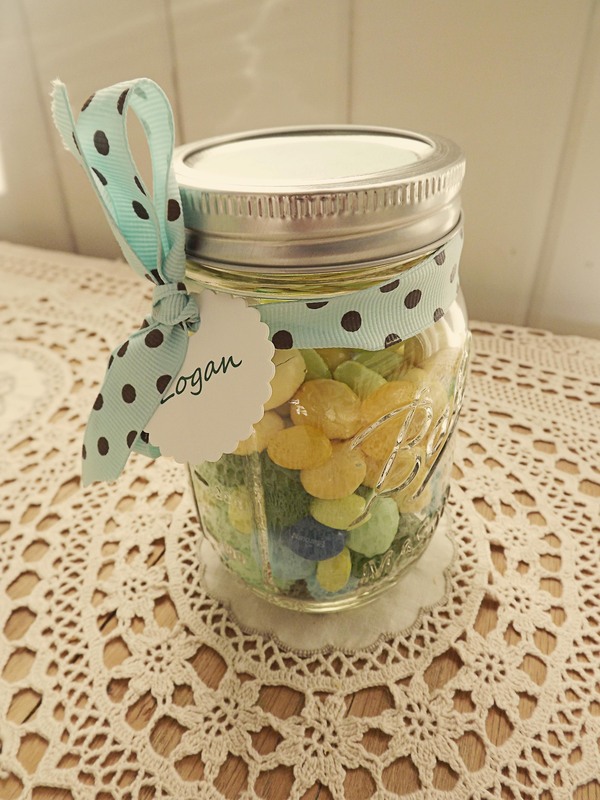 I thought it would be fun this year to give the nieces and nephews something other than the typical easter basket and came across this cute mason jar idea. 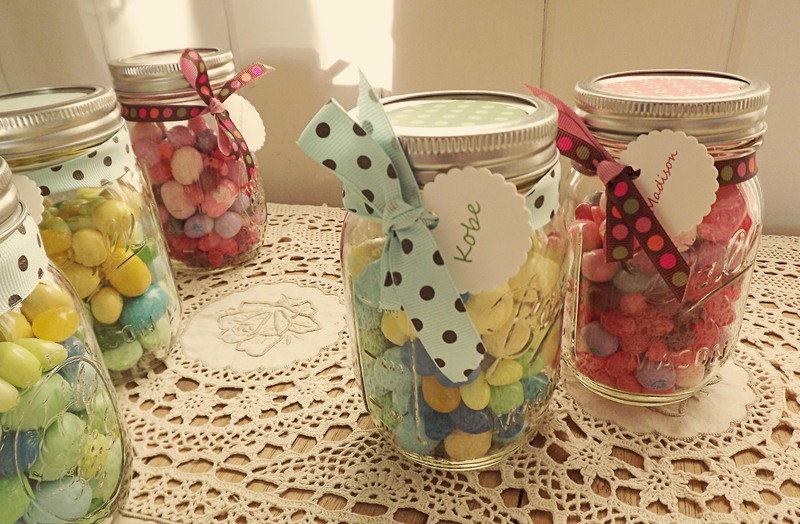 It’s quick, easy and pretty inexpensive. So Easter’s covered…and with only one whole day to spare! 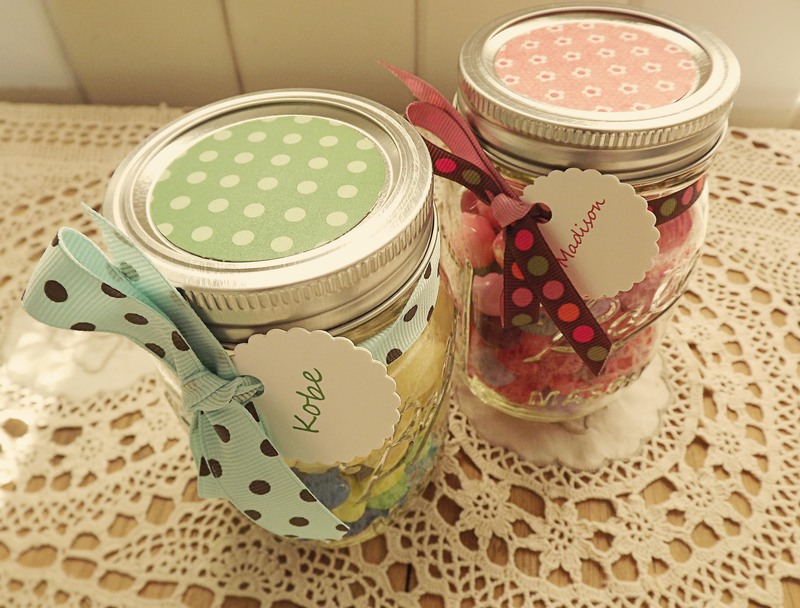 The directions are pretty self-explanatory, but I used whole punches for the name tags and also for the top cover on the mason jar lids. If you have a Silhouette Cameo those work nice as well for these. You can either print off your name tags or simply handwrite them in. 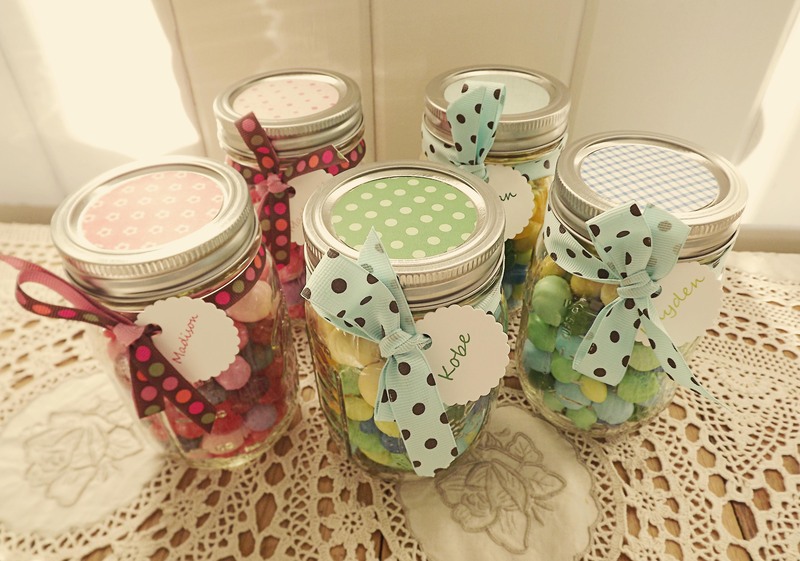 Fill jars with candy, thread a ribbon through your name tag and around the jar. Use the double sided tape to stick the lid cover on and your set!